While you may have opened the first few doors on your advent calendar, the Christmas countdown isn’t quite finished yet. And for most of us, that means a few more weeks of work, meetings, travel and squeezing Christmas shopping into your lunch break where you can. So if you need something to get you through the last few working weeks of the year, try making a stop at the locations below to keep your Christmas spirit high. 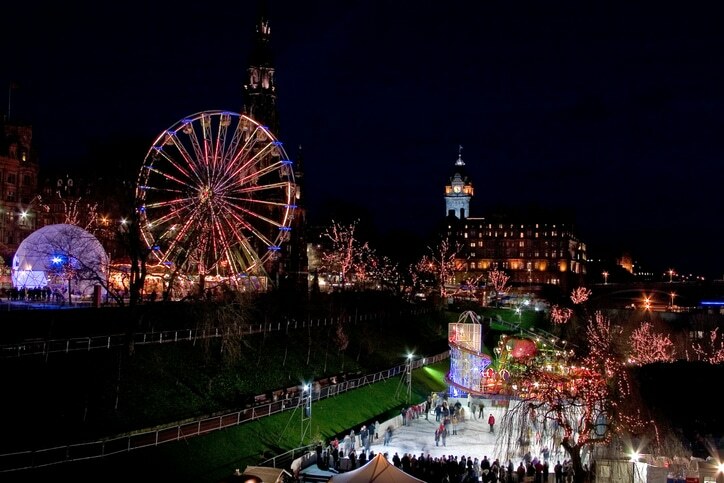 In amongst all the other reputable festivities in Scotland’s capital, the Edinburgh Christmas ice rink in St Andrew’s Square is definitely worth a visit. Stretch those legs with your team for a bit of festive team building – it’s bookable online and there until early January. 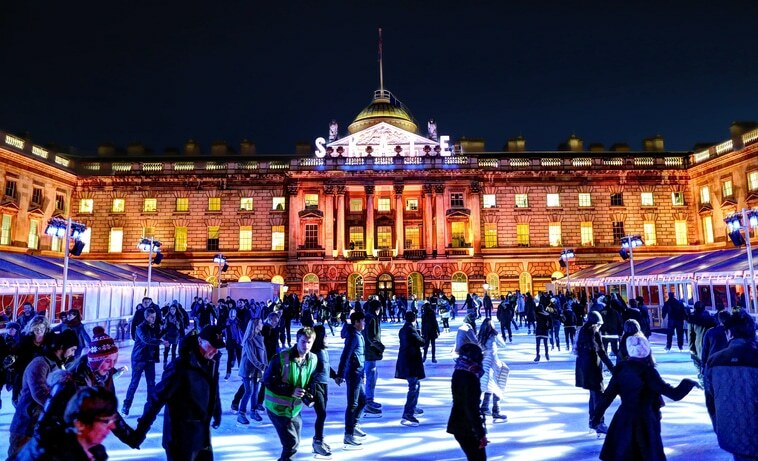 There are many spots in London to fulfill your skating needs but the atmosphere and surroundings at Somerset House are second to none. Easily accessible, available to pre-book and with food and drinks provided by Fortnum and Mason it’s a festive treat for any city dwellers. 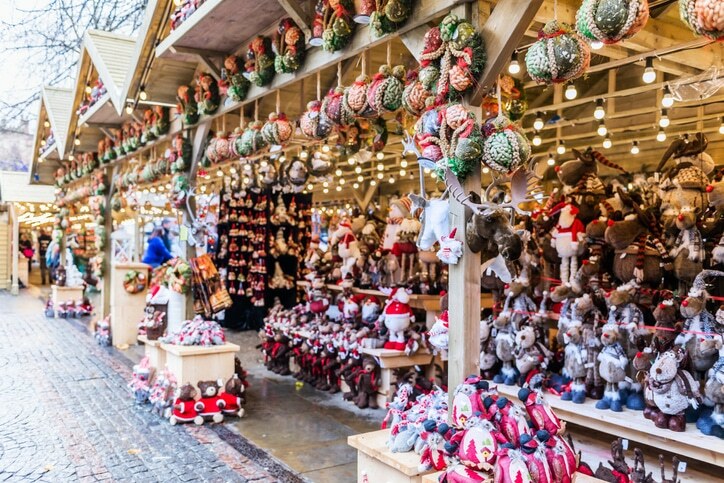 With stalls huddled in groups like little festive villages around the city, Manchester Christmas market boasts a plethora of stalls to meet all your Christmas needs – be it presents for your friends and family or a treat or two for yourself. Visit the official website for more info on the location of each individual market – there’s sure to be one near your next meeting there! A place very close to our hearts here at Click Travel. 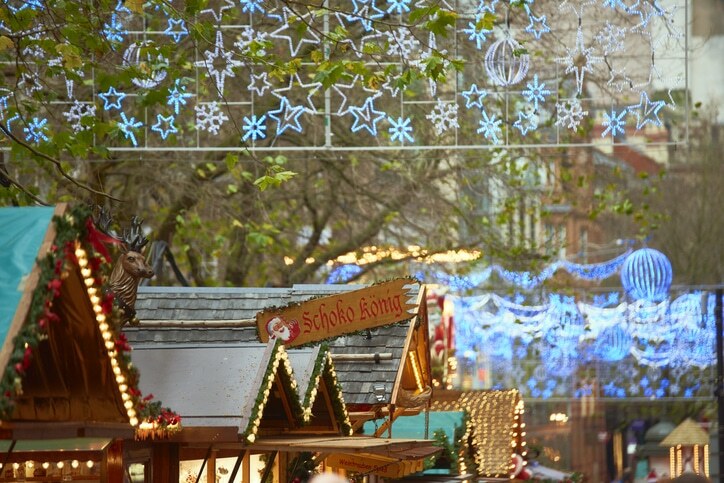 And we’re not afraid to blow our own trumpet when we say the Christmas market here in Birmingham is unbeatable! The stalls span Victoria Square, Birmingham Cathedral and all the way down New Street, so there’s no excuse not to swing by for a Bratwurst or mulled wine as you change trains on your journey! 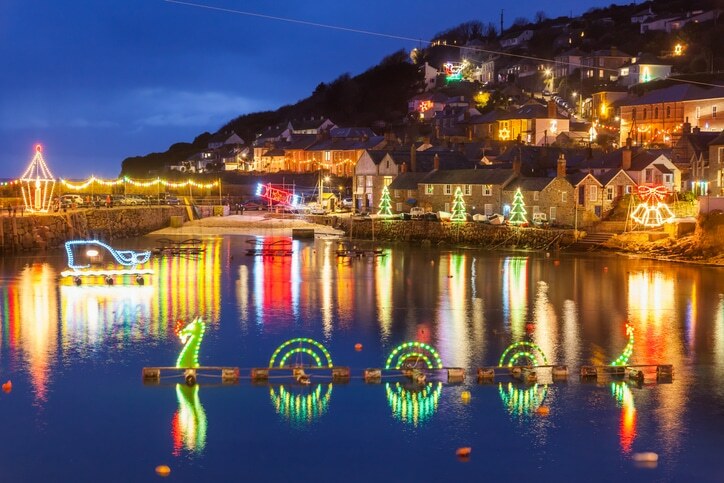 For something a little off the beaten track this Christmas, check out Mousehole Harbour lights, just south of Penzance. Local carpenters and volunteers have created the display here since 1963, lighting up the town and reflecting across the water. There’s also an unforgettable Christmas light switch on if you’re lucky enough to be in the area in mid-December. For an alternative take on Christmas lights, check out the display at Westonbirt Arboretum near Tetbury. 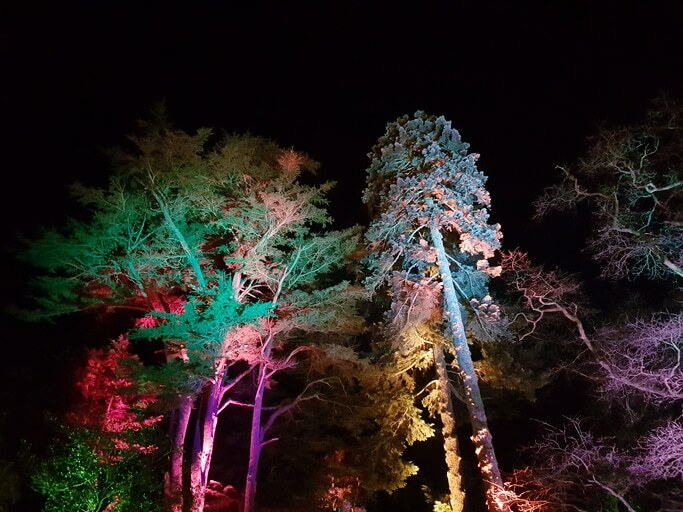 The illuminated trail takes you through the arboretum and includes market stalls, arts and crafts activities and fairground rides. Be sure to wrap up warm as it’s entirely outdoors and you’ll need to pre-book via their website. 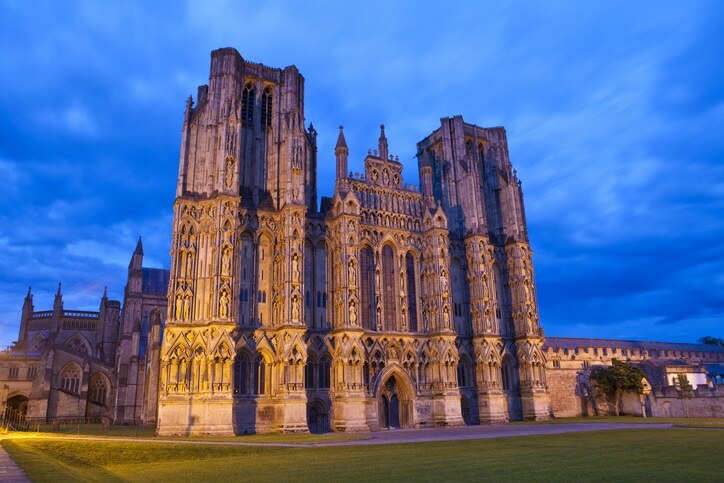 If you’re in need of a festive sing-along this month, Carols in Wells Cathedral will not disappoint. There are services throughout December both in the daytime and evening so plenty of opportunities to get involved. The city itself also has plenty to offer in terms of Christmas markets and lights, so if you’re swinging by, be sure to make a stop. When it comes to live music events, there’s one place that has it all. 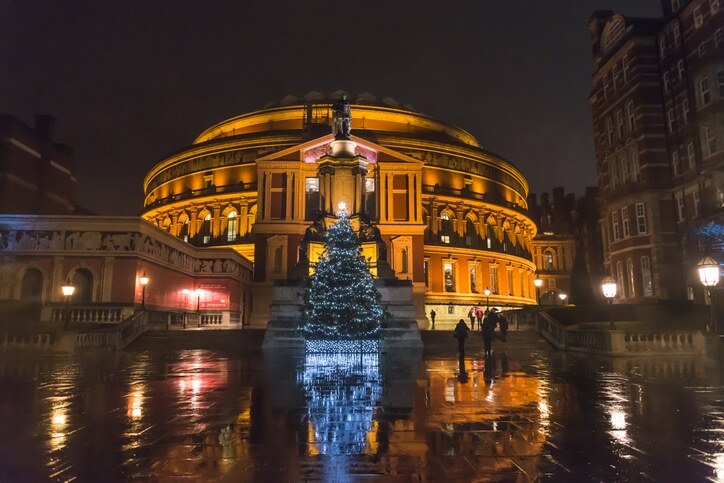 The Royal Albert hall is hosting a number of carol services across the 23rd and 24th of December, but tickets are selling fast so you’ll have to move quickly. Whether you’re carolling with co-workers or enjoying the festivities with family, it’s not to be missed. Plenty of festive stop-offs across the country to break up your business travel in the run up to Christmas. Merry Christmas and festive wishes from all of us!